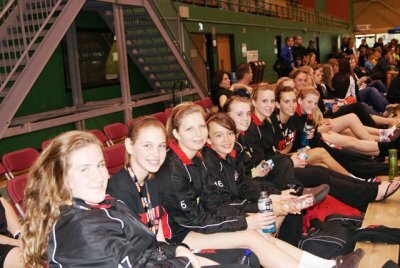 On March 27th we played in Trenton – our last tournament before the provincials. First up was Markham. In the first game Attack took a 18-14 lead and went on to win 25-18. In game two, Attack was down 16-21, but came back for a 26-24 victory. In our second match we faced a solid team in the Ottawa Golddiggers. The Golddiggers won both games by 16-25 and 21-25 scores. We played Ottawa Fusion in the crossover. Attack Chris started off slow in game 1, but played stronger as the game went on to win 25-23. Game 2 was equally close, with Attack Chris taking it 25-19. 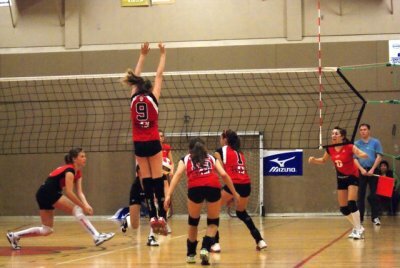 Our quarter final match up was against a good team from DRVC. Attack Chris took game one 25-19. Game 2 was tight with DRVC holding a 16-18 lead, and going on to win 16-25. In the tie-breaker, DRVC prevailed 10-15. Our final match of the day was against Northumberland Breakers. Attack Chris took both games by 25-20 and 25-22 scores. Good for a fifth place finish. Well done girls, You played some very good volleyball in the tournament. Congratulations to Attack Arif on your silver medal. An exciting and fun year so far, girls! You should all be very proud of your accomplishments. Thank you so much to our dedicated coaching staff. Chris, Melonie, Darik and Jacek, we cannot thank you enough. Best of luck in Kitchener. BELIEVE! 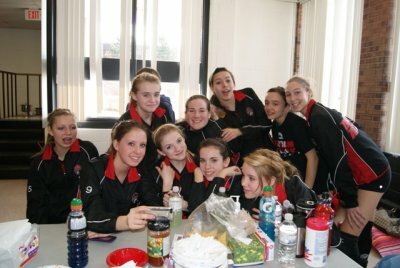 On Friday March 5th, we headed to Rochester for a two day tournament. Late Sunday afternoon, after two long days of competition, we had a record of 9-0 and were off to the finals. Our opponent in the gold medal game was our club mate and friend 14U Arif. We witnessed some truly outstanding volleyball by both teams. Game 1 stayed tight from the outset, with the teams tied at 10. Attack Chris opened up an 18-16 lead and went on to take it 25-18. In game 2, Attack Chris had a 14-9 lead, but Attack Arif rallied back to take a 17-15 lead, and took game 2 25-21. In the third and deciding game, Attack Chris came out determined and opened up an 8-3 lead. Final score: 15-8 Attack Chris. 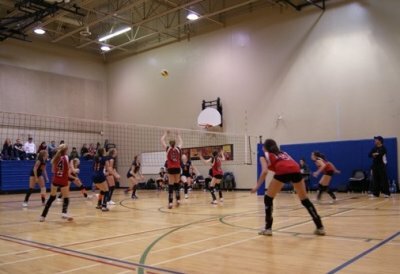 Congratulations to both teams on some great volleyball this past weekend. You should be very proud of your hard work and how you carried yourselves. It was a wonderful achievement to have both teams in the finals. Thank you to our dedicated coaching staff. Thank you to our very friendly hosts in Rochester. Attack Chris, only three tournaments remaining. Keep on BELIEVING ! 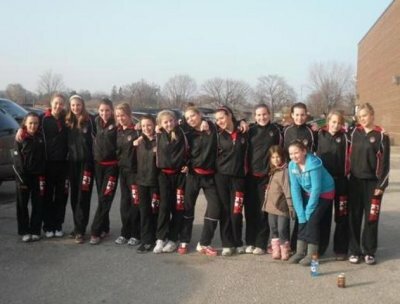 On January 16th, we played in a U15 tournament in Etobicoke. In our first match we faced Scarborough Titans U14. Game one was close from the outset with Attack taking it 25-23. In game two, the Titans fought back for an 18-25 victory. In our next match, we faced Sudbury Chill. After dropping the first game 17-25, Attack picked up the play to win game two 25-20. Based on total points for/against we finished third in the pool. In the cross over, our opponents were Toronto West. Attack were down early in game one, but tied the score at 17. Toronto West opened up a lead and took the game 22-25. In game two, Attack went down 15-25. In the final game of the day, Attack faced Etobicoke 381. Attack won both games 25-11 and 25-20. The girls should know that the two teams they split games with in pool play met in the finals. 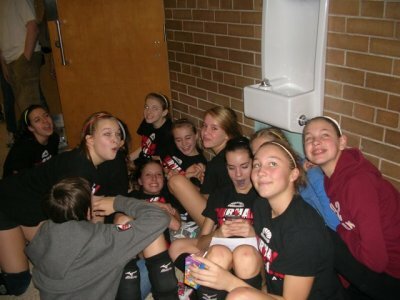 Playing in this U15 tournament was a good learning exercise for the girls. Thanks to everyone. Keep up the strong work. On January 30th we played in the Challenge Cup East in Bowmanville. Our first match in pool play was against Northumberland Breakers. Attack started off very strong taking the first game 25-14. Attack continued strong play in game two winning 25-10. Next up, North Bay Blizzard. Attack won game one 25-11 anchored by some strong serving. Game two was much closer with Attack prevailing 25-22. 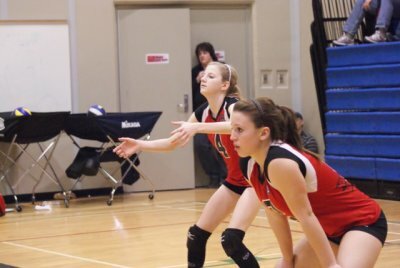 In game three, we faced a strong U13 team from DRVC. Attack was down early in game one, but continued its strong pay to take a mid way lead 16-14 and hung on to win 25-21. In game two, Attack took an early lead and went on to win 25-17. After placing first in the pool, we had to wait, and wait we did. Over 4 hours later we played the crossover. We faced another good U13 team in the Etobicoke Titans. Attack came out very solid in the first game leading 14-3 and going on to a 25-13 win. 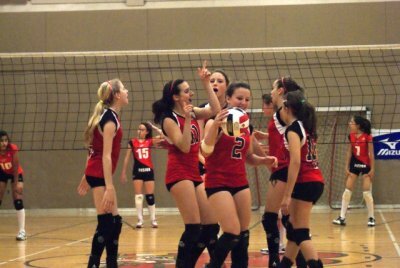 Game two was close from the outset, with Etobicoke taking it 21-25. The tie-breaking game was tied at 5-5, but Attack took it 15-8. 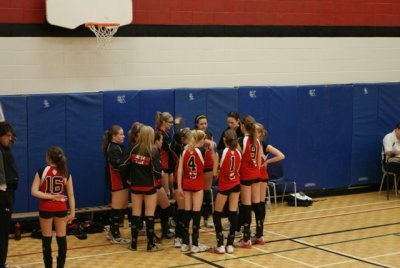 In the semi final, we faced Aurora Storm. In game one, Attack trailed 3-10. Attack continued to trail, but rallied back to close the gap to 18-23. Storm hung on to win 19-25. Game two played out in a similar fashion, with Attack being down early and losing 18-25. 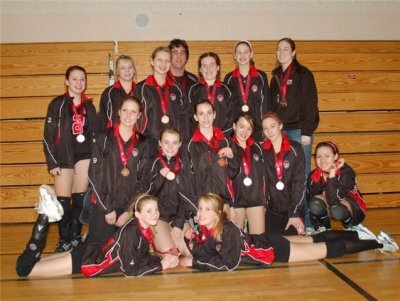 We were off to play for bronze against Ottawa Mavericks. Attack had difficulty getting on track in game one, down 7-17. Attack rallied back to close the margin to 20-22, but Maverick would take the game 20-25. Game two was very close going back and forth, with Maverick prevailing 24-26 and taking the bronze. Congratulations to all the medalist, including GU14 Attack – Arif who took Silver. 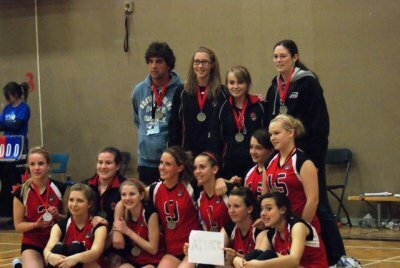 Congratlations to Attack Chris for some great volleyball. Keep up your enthusiasm and strong work ethic. We can truly see how much fun you are having playing this game. Thank you to our coaches for their continued dedication and effort. The girls and parents very much appreciate it. On February 20th, we travelled to Peterborough to play in the Hawkins Cup – Eastern Championship. First up was Ottawa Fusion. Attack started off very well and took the first game 25-14. Game two was closer with the teams going back and forth. Attack came up just short 23-25. After a two hour wait, our second match was against DRVC Orange. Attack started off strong and took an early 9-5 lead, but could not hang on as DRVC won 20-25. In game two, Attack could not get its bearings and were defeated 9-25. 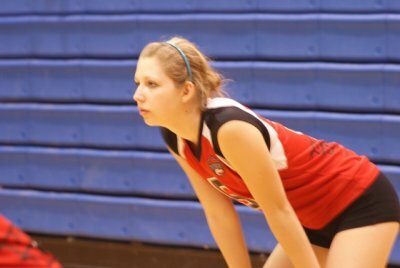 We then faced Etobicoke Titans in the crossover match. Attack opened up a 17-11 lead and took game one 25-19. Game two was a similar close outcome with Attack winning 25-23. 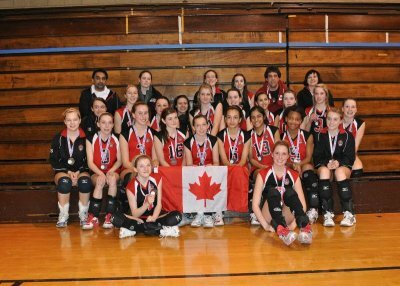 DRVC U13 was our next opposition. Attack played tough but was defeated in both games by a score of 20-25. Our final match of the day was against Aurora Storm. The first game was very close with both teams playing well. Attack came back from a late four point deficit, but fell just short 23-25. In game two, Attack took an 18-12 lead and won 25-17. In the tie-breaker third game, Attack put in a good effort but was unable to continue the momentum. Final score: 15-7 Storm. Attack played some solid volleyball against strong teams. Keep having fun, working hard and practicing what our coaching staff are teaching. Thanks to all. Looking forward to a fun weekend in Rochester! Thank you to the parents, players and siblings who contributed so much to hosting the tournament in Whitby on January 9. A very special thank you to our parent rep Lyla, and our coaching staff Chris, Melonie, Darik and Jacek for all your efforts in organizing a great event! Our first match in pool play was against the Barrie Elites. After a quick start, Attack led 7-3. The game was exciting and stayed very close to the end, with Barrie edging out Attack 25-27. The second game was well played by both teams, going back and forth. With the score tied at 15, Attack opened up a 21-16 lead thanks to some very strong serving. Attack went on to win 25-16. With only three teams in our pool, we played a third game to 25. In this game, Attack was in control from the outset, taking a 15-6 lead, and going on to win 25-16. The second match of the day was against Ms. Pakmen. The first game saw Attack take an early lead and go on to win winning 25-9. The second game was a closer, with strong play from both teams. With the score tied at 19 Attack opened up a lead and hung on for 25-22 victory. In the third game, Attack was victorious 25-9. In the cross over game, Attack faced Select 96. Attack’s strong play allowed them to take a lead of 21-9. Select 96 played tough and closed the gap to 22-16. Attack took the first game 25-18. In the second game, Attack was down 5-12, but picked up the play to tie the game at 16. Attack was able to close out the match with a 25-22 win. In the semi finals, Attack Chris faced a strong Attack Arif squad. Attack Chris was down early 2-10. Attack Chris tried to mount a comeback, closing the score to 10-15 but that would be as close as they got. Arif took game one 12-25. The second game was closer with Attack Chris up 10-9. However, Attack Arif played very strong taking a 13-18 lead. Arif took game two 17-25. Attack Chris moved on to play for the bronze, with team Arif shooting for gold. Congratulations to both teams on a well played match. Attack Chris played Ms. Pakmen to decide third place. The first game was a very tight from the outset. Attack took it 25-19. In the second game, Attack opened up large lead and won 25-8. Congratulations to Attack Chris on their second bronze of the season and to Attack Arif for winning another gold! Thank you to all the teams for coming to Whitby. We saw some excellent volleyball and we hope you enjoyed your day. Next stop, a U15 event in Etobicoke on January 16.